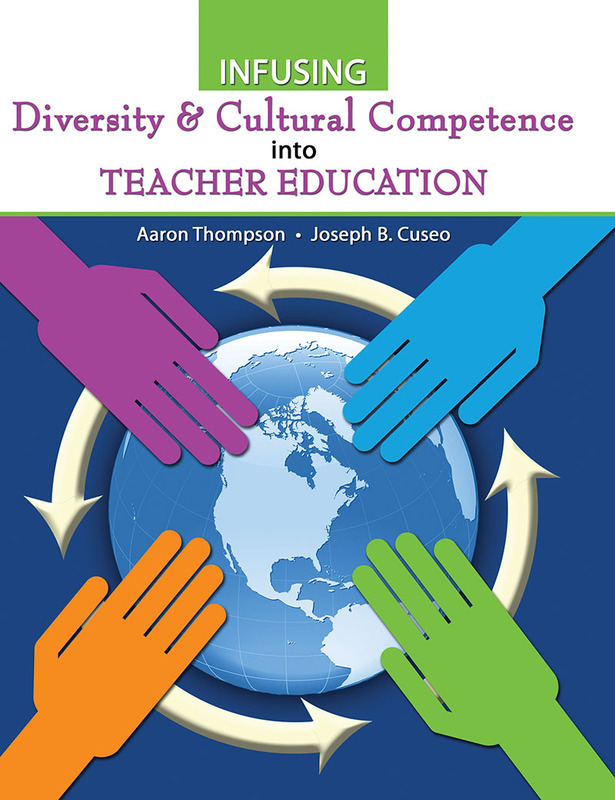 Infusing Diversity & Cultural Competence into Teacher Education provides educators and future educators with pathways for achieving cultural competence. Placing this crucial competence in the teacher’s toolbox will increase their opportunity and the capacity of ensuring success in and out of the classroom. The tools presented in this book assist the teacher in making gains in closing achievement gaps, building opportunity for all students, building strong pedagogical skills, enhancing curriculum for their diverse students, and constantly assessing all of these areas to ensure they are maintaining their status as the largest contributor to students’ success. Illustrates student, family, school, and community roles in the learning process. Describes how to incorporate intercultural communication and relationship building skills into curriculum. Aaron Thompson is a nationally recognized leader in higher education with a focus on policy, student success and organizational leadership and design. He serves as President of the Kentucky Council on Postsecondary Education and as professor of sociology in the Department of Educational Leadership and Policy Studies at Eastern Kentucky University. He recently served as interim president of Kentucky State University. Thompson holds a doctorate in sociology in areas of organizational behavior and race and gender relations. Joe Cuseo holds a doctoral degree in Educational Psychology and Assessment from the University of Iowa and is Professor Emeritus of Psychology. For more than 25 years, he directed the first-year seminar—a core college success course required of all new students. He’s a 14-time recipient of the “faculty member of the year award” on his home campus—a student-driven award based on effective teaching and academic advising; a recipient of the “Outstanding First-Year Student Advocate Award” from the National Resource Center for The First-Year Experience and Students in Transition; and a recipient of the “Diamond Honoree Award” from the American College Personnel Association (ACPA) for contributions made to student development and the Student Affairs profession. +++__Currently, Joe serves as an educational advisor and consultant for AVID—a nonprofit organization whose mission is to promote the college access and college success of underserved student populations. He has delivered hundreds of campus workshops and conference presentations across North America, as well as Europe, Asia, Australia, and the Middle East.